So last month my oldest had a milestone birthday, the big 5. Of course it happens almost in conjunction with Thanksgiving, and things tend to get a little crazy around this time of year. Somehow his birthday morphed into a week long celebration, and let's just say.... the word exhausted, doesn't cover how I feel. It technically started on Black Friday when we took a day trip to Virginia to see his grandmother and great Aunt. Then that Saturday he had a one on one date with his other grandmother. That Sunday was our family celebration. Which had turned into this tradition of going to the movies together instead of giving a gift (because really- these kiddos that too much stuff). His pick was Cocoa- which was fantastic and well loved by the boys. Monday the 27th, was his actual birthday. Full of phone calls and a little extra attention. 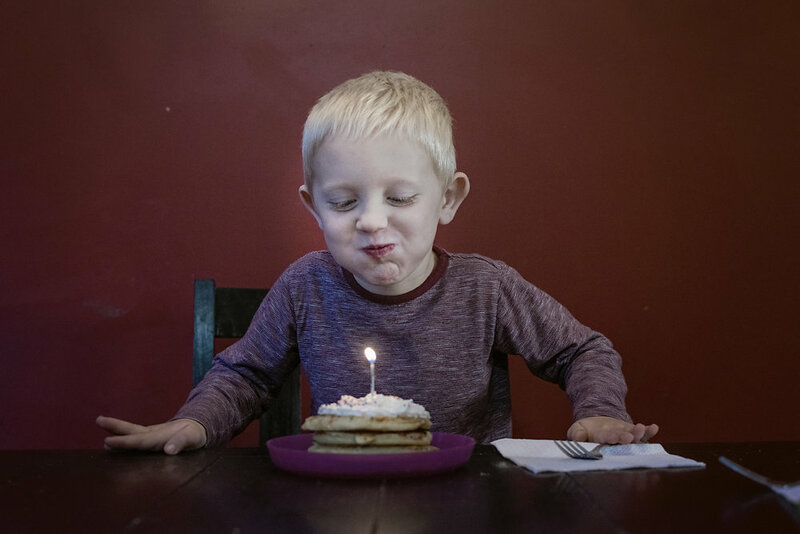 And because we already had so many sweets up until this point, we opted for birthday pancakes instead of birthday cake. Then Wednesday, we celebrated his birthday at preschool. More cookies, and attention- I thought maybe this would be the breaking point, but nope. He was still loving every minute of it. Thursday, I was able to give him the photo shoot of his dreams. He's been asking for a long time to do a best friends photo shoot with his BFF Lily. Complete with the outfit he picked out and, of course, glitter. I'll just leave this image below as proof that it went so so well. And for the grand birthday finale, Saturday was his party No family (other than mom, dad and brother) allowed. His first friends only party. It was a success. He said it was perfect and everything he wanted. I am so thankful that we chose an early afternoon party, because this really long week ended with the boys vegging out in front of the tv and mom and dad fell asleep. 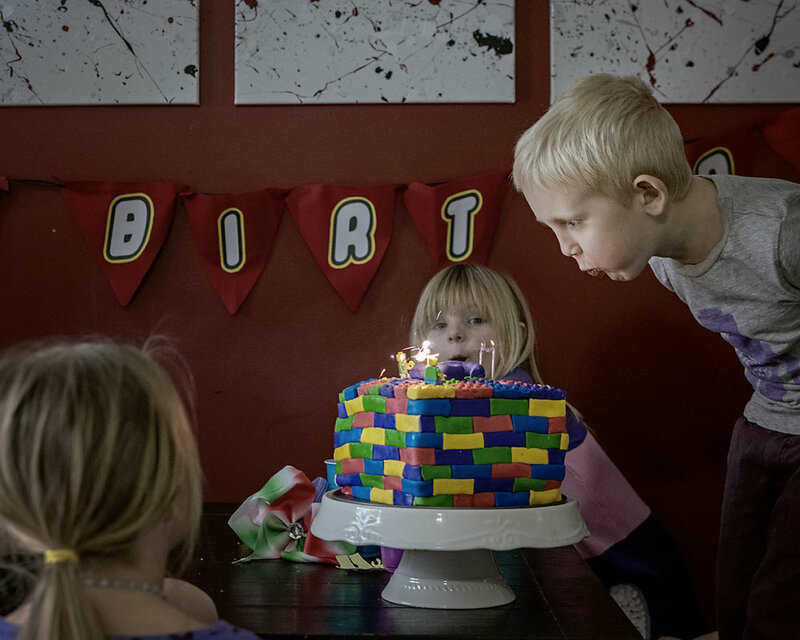 While this week was so much fun celebrating the little boy that made me a mommy, I am excited to say that it will be a whole year and 2 months before we have to go through another 5th birthday. I think it is going to take at least that much time to recover.